On the eighth post of Christmas my true love gave to me… something made by their own two hands! I’ve been spending the entirety of this month posting about how to give from the heart and not the wallet. That’s the true spirit of the season – giving of one self. I’ve been thinking about the recent advertising stunt by WestJet, a Canadian airline. They surprised passengers departing from Toronto and Hamilton, Ontario with personalized gifts. Passengers were asked at an interactive "Santa kiosk" what they wanted for Christmas – a fun time-waster, so they thought. During the flight, WestJet purchased and wrapped their requests. Then gifts rolled off the baggage carousel at their destination – all 357 of them. Some were pretty simple, but others showed what Christmas had become – consumerist. Most got what they asked for, like socks, scarves, dolls, trucks, etc, but so did others who wanted large flat-screen TVs, and even a diamond ring. Of course those asking for cars or husbands didn’t quite get their wish. It’s a great stunt, and an effective publicity campaign, but it’s all to make the giver look good. Christmas should really be spelled Chri$tmas. Christ's message is gone. Food for thought, all Christians out there. But enough preaching. The past seven posts have been resurrected from “gifts past.” This one’s a new one. What would Christmas not be without a little something to warm your bones? Here it is, and it only takes 5 days to make, so you have plenty of time. 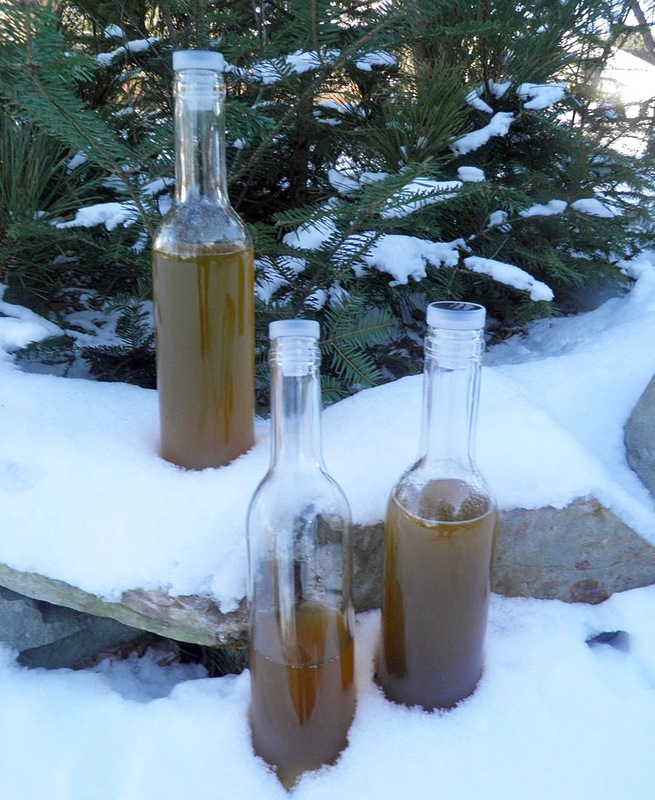 Homemade liqueurs are a gift that many love to receive. They can be used both in mixed drinks as well as straight-up. This recipe came about because of my curiosity about the plethora of flavoured whiskies and bourbons that have flooded the marketplace over the last few years. From what I have read, the flavoured commercial products are aimed at a younger demographic than their “serious” whiskies – for folks that want to experiment with the taste in a sort of sideways way. As we know, scotch can be an acquired taste. So that’s why the introduction of some sweetness and flavourings. Get them interested and they’ll graduate to the more pricy products. I have no fear of that creeping. I’m not a great fan of “on the rocks” whisky or scotch. I attribute it to my plebeian palate. This liqueur is made from Irish whisky, which I find more palatable to start than regular whisky, with the introduction of a honey syrup and some spices. The overall effect is a mellow, sweet-ish liqueur that would be perfect for enjoying around a roaring fire after decorating the Christmas tree. It’s actually quite nice. And probably a little dangerous. An off the top of my head alcohol content would be probably close to 20%. So serve judiciously. 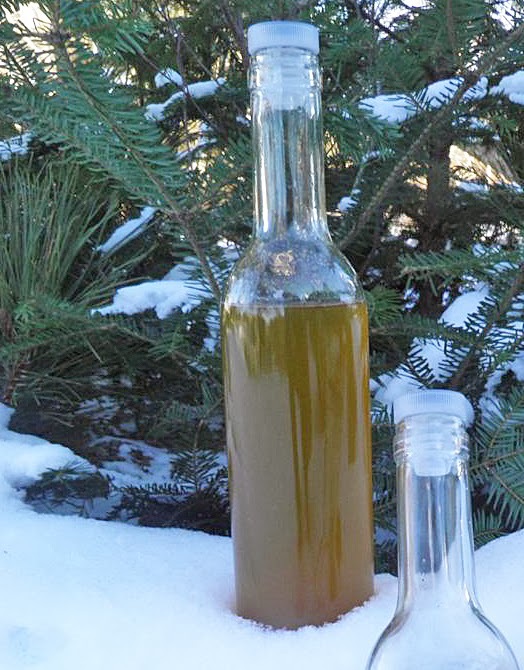 The gift of homemade booze is something that is a good solution for the hard-to-buy-for. Who need another sweater or tie? Bottles can be purchased extremely affordably at wine-kit stores, as can corks. 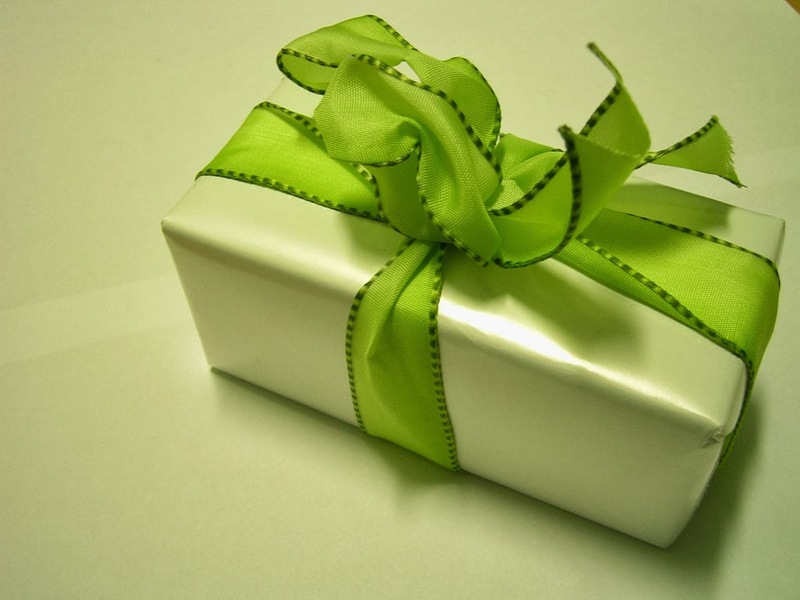 Tie a bow, or lay a few in a basket and you actually have a gift that will be remembered for a very long time. I have many, many (around 40) liqueur recipes on this site. Search “liqueur” and the world will open before you. There’ll be one more liqueur (at least) making an appearance here before Christmas. I promise that both will be “instant” liqueurs that are ready as soon as you mix everything together. Combine the honey, water and spices in a saucepan. Bring to a boil and cook for 10 minutes. 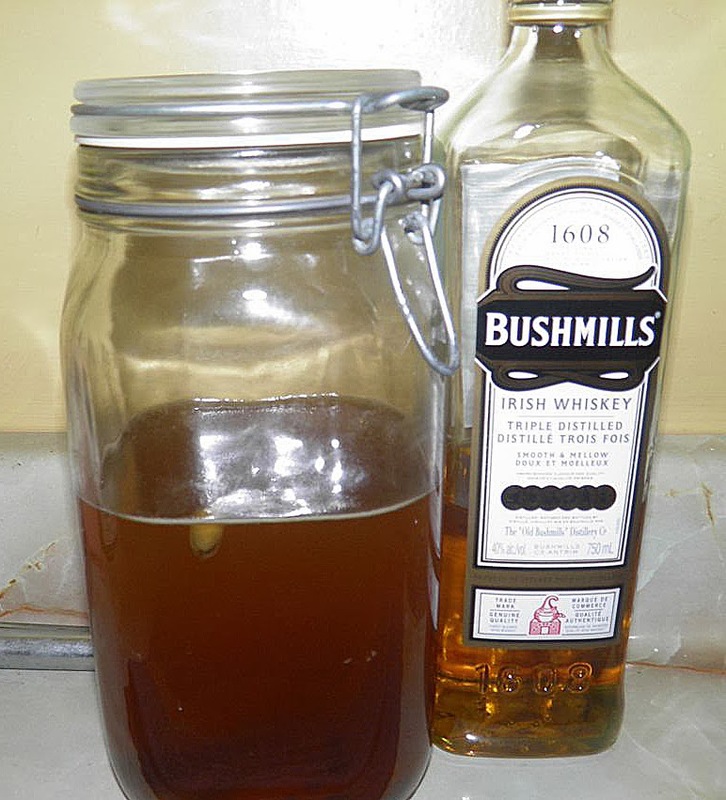 Let the mixture cool slightly and then place in a jar along with the whisky. Let steep for 5 days. Strain the mixture, bottle and chill.